Lettuce Salad Thai Style Recipe For Your Healthy Appetite! Lettuce Thai Style Salad For Your Healthy Appetite! The lustrous green lettuce is an incredible source of dietary fibre, manganese, potassium, biotin, vitamin B1, copper, iron, and vitamin C.
It is also rich in vitamin B2, omega-3 fatty acids, vitamin B6, phosphorus, chromium, magnesium, calcium, and pantothenic acid. 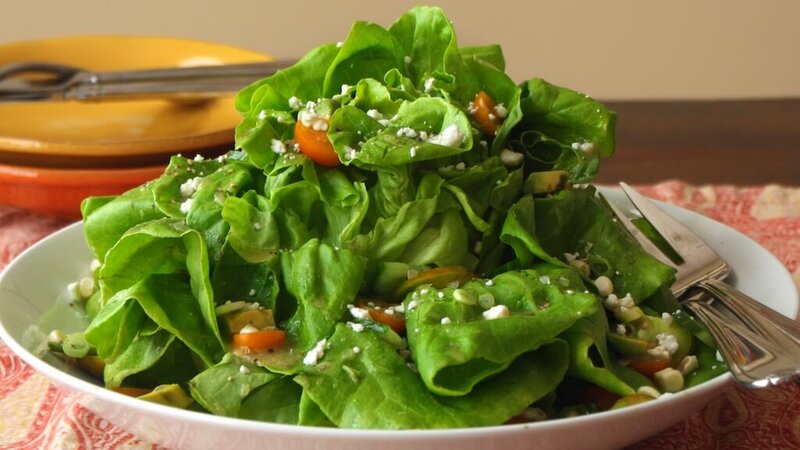 Apart from these high-value nutrients, lettuce salad has the credibility to make you feel refreshed and rejuvenated. It grandly completes the wholesome plate with a crimsoned sweetness that teases your appetite! Mix all the above-mentioned ingredients thoroughly in a salad bowl and store in the fridge for a minimum of half an hour. And serve chilled! Enjoy your green lettuce Thai style salad bowl until we bring you some more health binding yet mouth-watering recipes! Papaya Salad- The Delightful Taste with Sunlit Tropical Colours!